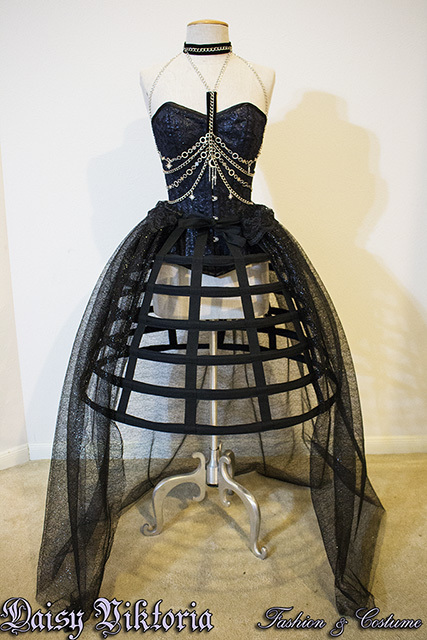 View cart “Black Silk and Tulle Bustle Gown” has been added to your cart. 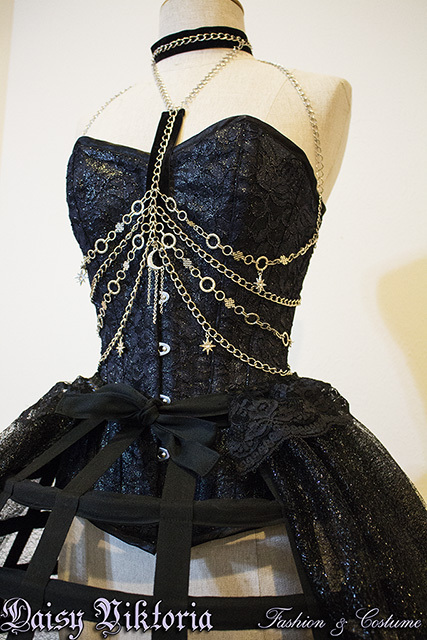 Sparkle like the heavens in this celestial corset gown! 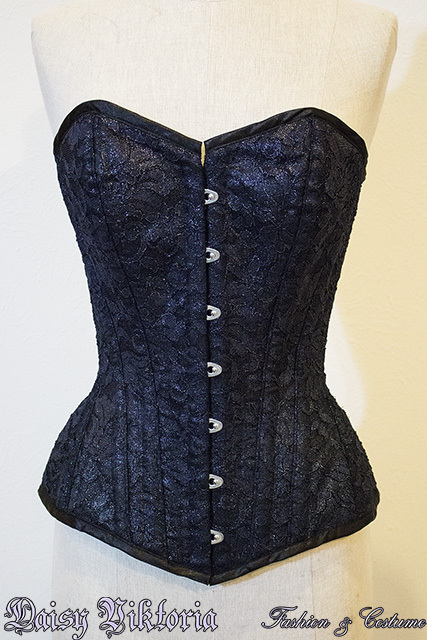 The corset is made of sparkling deep midnight blue lace with silver threads. 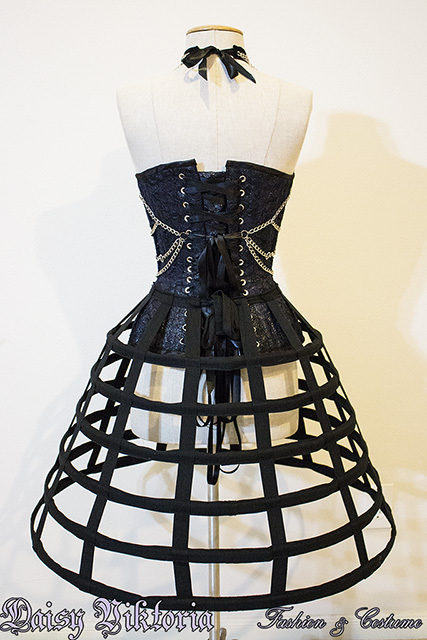 This fully steel boned corset attaches in the front with a busk and laces in the back with double sided satin ribbon and a modesty panel. 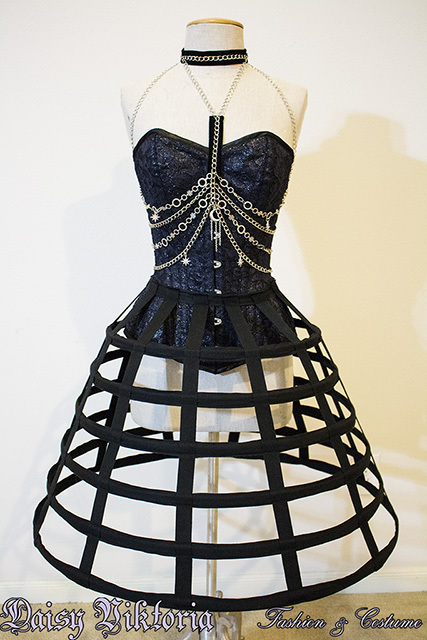 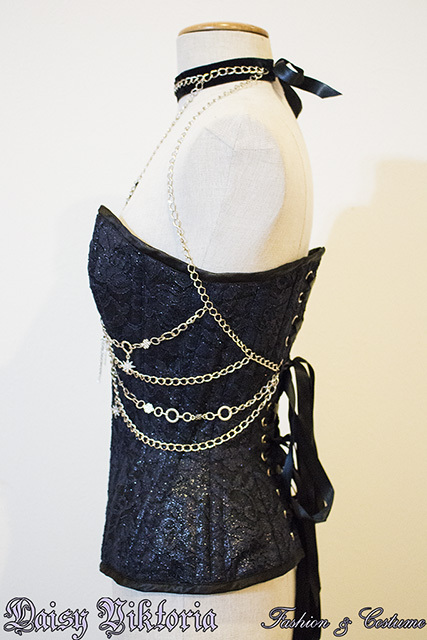 The harness is made of chain, sparkling pendants, and velvet and satin ribbon. 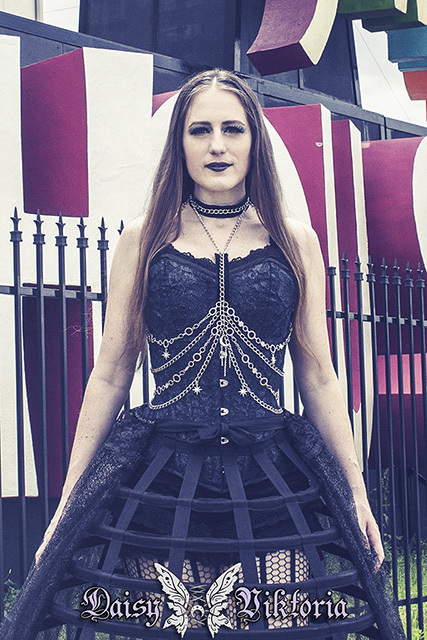 The hoop skirt is made with black cotton twill and steel boning. 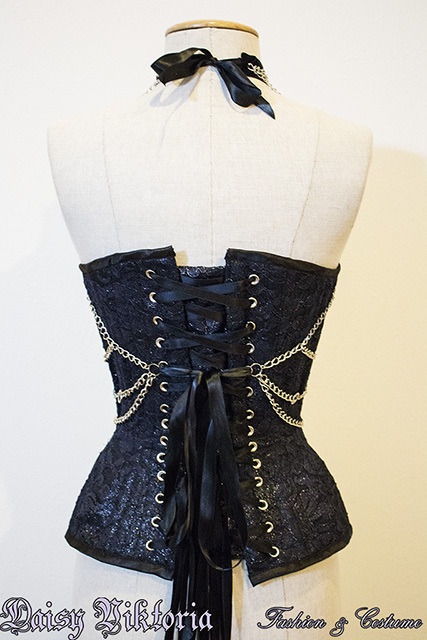 It ties in the back for an adjustable fit, so you can wear it without a corset and still have a perfect fit! 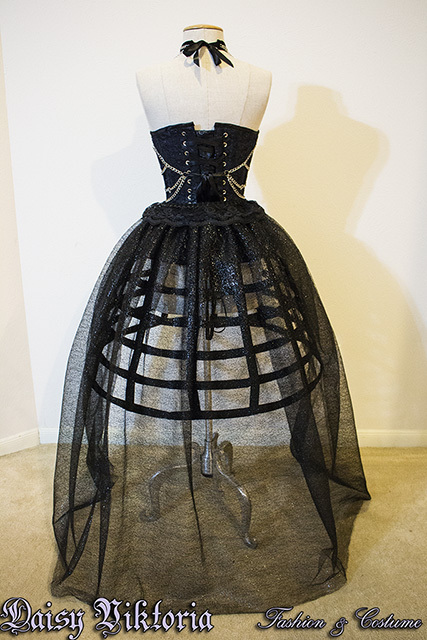 The over skirt is made of two layers of tulle with a black and silver sparkling overlay. 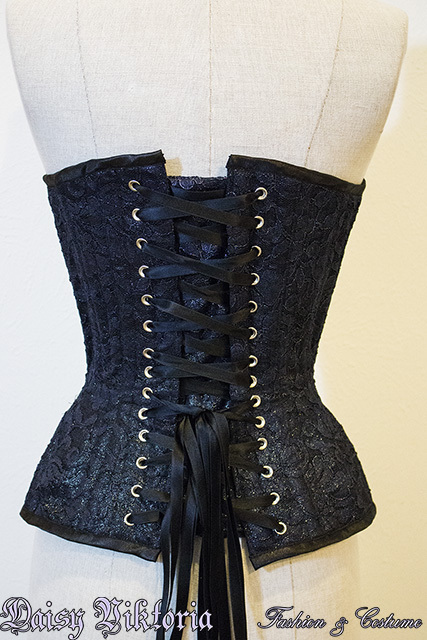 The waist features a delicate lace trim. 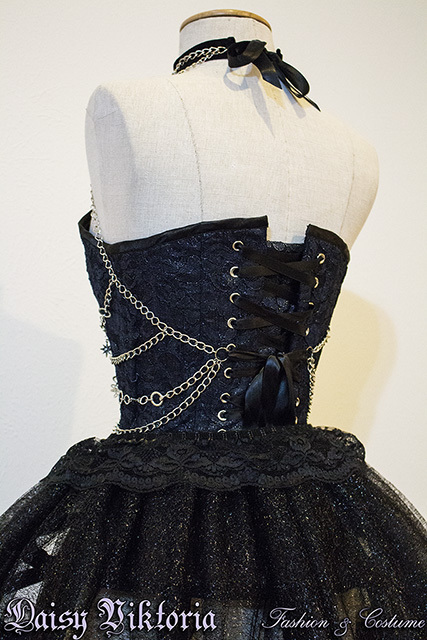 *This product is made to order. 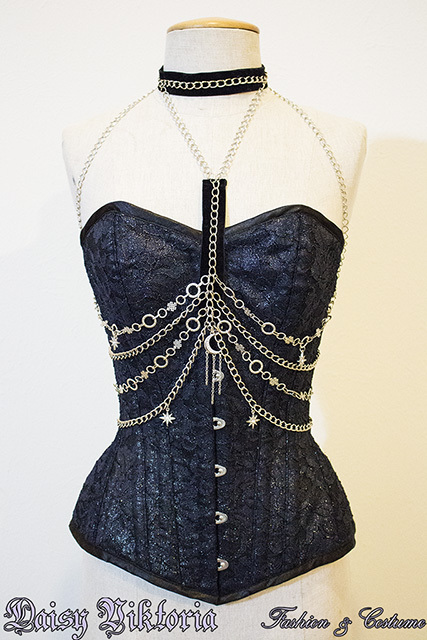 There may be slight variations in specific chain pieces or trims.